We’re often asked the difference between bushcraft and survival and perhaps the simplest way to explain is to say that survival is finding yourself in a life threatening situation that you need to get out of. With that in mind, this weekend survival course has been designed for anyone who wants to learn some of the skills that are essential in a survival situation. We’ve put this course together for people who spend time outdoors in the UK and would like to be better prepared in the event of an emergency. At the end of this weekend survival course you will have learnt how to avoid getting into a survival situation as well as gained a good working knowledge of some of the skills should you find yourself in one. 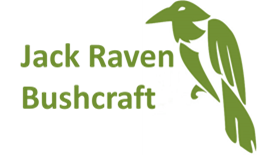 My first visit to Jack Raven, and I could not have been in better hands. Gary and his team where very warm and welcoming, their individual knowledge is second to none. Gary's teaching was precise, but felt very relaxed, and very keen to answer any questions. The catering by Nicola, was divine ! Pete, is a very worthy assistant and also a great font of knowledge. I will be coming again, and would HIGHLY recommend this great team. I'm so please I was able to attend a Jack Raven course, Many Thanks. P.S. Willow is possibly the best dog in the world ! I really enjoyed the weekend, the pace and content were spot on. It was relaxed and informative. Their set up in the woods is amazing, the food is great and plenty of biscuits to go with the tea and coffee. This was an excellent introduction to the world of survival and bushcraft. Great location and great tuition from some lovely people, can't reccomend it enough. Will definitely look at doing more!